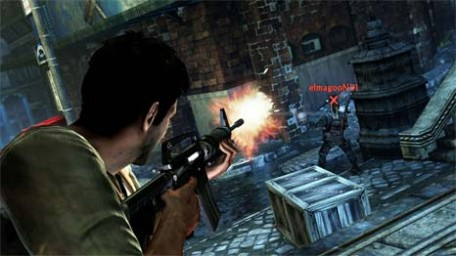 Uncharted 2: Among Thieves: Officially Pushing Playstation Harder Than Ever Before. Heck, they have a division within their offices dedicated to doing just that. Naughty Dog's Christophe Balestra wants to absolutely clarify that Uncharted 2: Among Thieves is impossible on the XBOX 360. Balestra also goes on to clarify that if the original Uncharted used around 30% of the Playstation 3's SPUs, Uncharted 2 will take up all 100%.